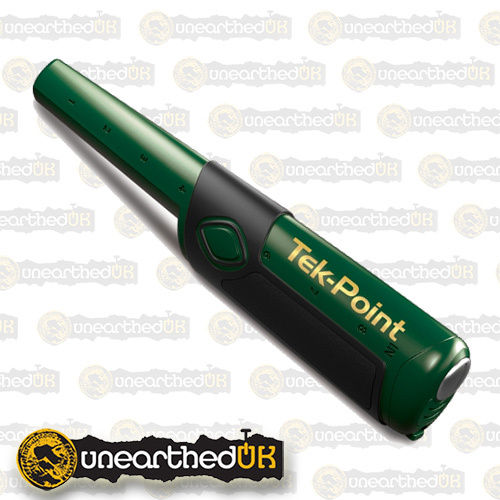 8 reviews for TEKNETICS TEK-POINT PINPOINTER IN STOCK! Simply the best PP i have ever had,,,,packed with features and deeper than any other PP out there. 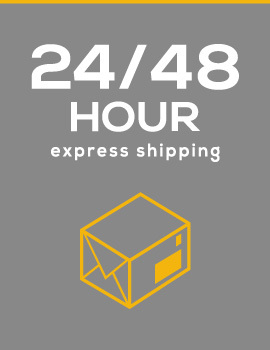 Highly recomended if you buying a repacement or just starting out in the hobby. 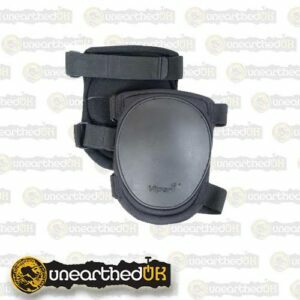 And service from Unearthed just can be beaten. Bought this in a package deal with the T2 and was not expecting too much. Wow,was i wrong.Getting back into detecting after a few years away i was not too sure about pin pointers as i never used one with my old garret groundhog but after getting out and using this alongside my new T2 i can see what i was missing all those years ago. Deep does not cover it and easy to set up which is a must for my old brain. If your hedging on wether you need a pin pointer or not i would say get this because no matter how far out your machine gets with pinpointing this thing will find it and help you winkle it out of the hole. Buy it,you wont regret it. Buy it ,read the instructions and be prepared to be Amazed !!! Pulse Induction and self ground balancing giving no falsing and no interference with my detector. The depth range is also amazing. 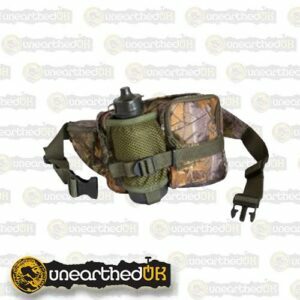 Thank you unearthed for a great service too. Absolutely love this pin pointer. It’s solid, true to form, has multiple settings, robust, unbelievably accurate, waterproof, user friendly. Can’t fault this bit of kit. Hulk finger as it is affectionately known by some. Benet’s Second Edition was published in 2003, the long awaited third edition is finally here. With an extra 250+ pages and 1,000 additional images together with all prices fully updated. 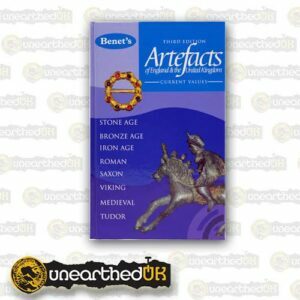 This superb artefact identifier and price guide ranges from the Stone Age through to the Tudor period – Benet’s is the must have guide for identification & valuations. The prices quoted are based upon first hand knowledge and experience of the antiquities market as well as recent actual sale prices. Still in hardback but now containing over 860 pages, with over 3000 beautifully photographed artefacts, this A5 book is produced in fantastic full colour throughout. 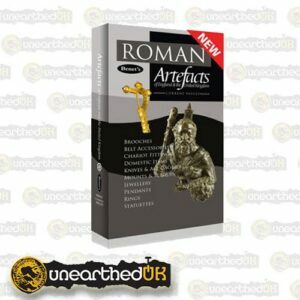 Contents include: Stone Age, Bronze Age, Celtic & Iron Age, Roman, Anglo Saxon, Viking, Norman, Medieval, Tudor and Post Tudor – with artefacts covering Axe heads, Spears, Swords, Daggers, Brooches, Pendants, Rings, Jewellery, Buckles, Horse Fittings, Pommels, Thimbles, Seals and many more.